I was looking for a tool I could use to prevent installation of software on a Windows XP Professional PC, and on an Administrator account. 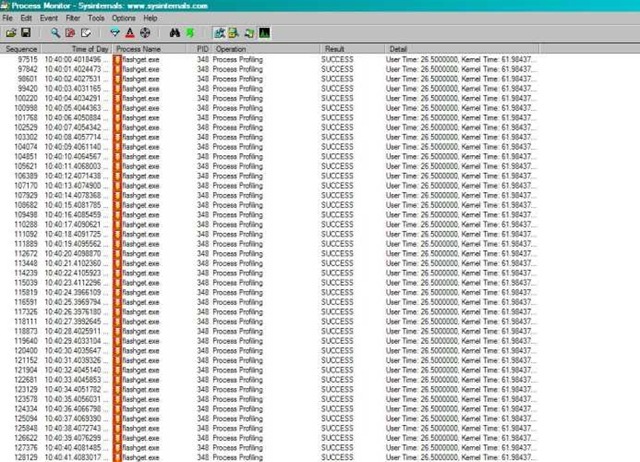 Process Monitor runs on Windows 2000 SP4 with Update Rollup 1, Windows XP SP2, Windows Server 2003 SP1, and Windows Vista as well as x64 versions of Windows XP, Windows Server 2003 SP1 and Windows Vista. The tool is too cool to be true. Click here to read more and download. What on earth have I been missing hey!!! 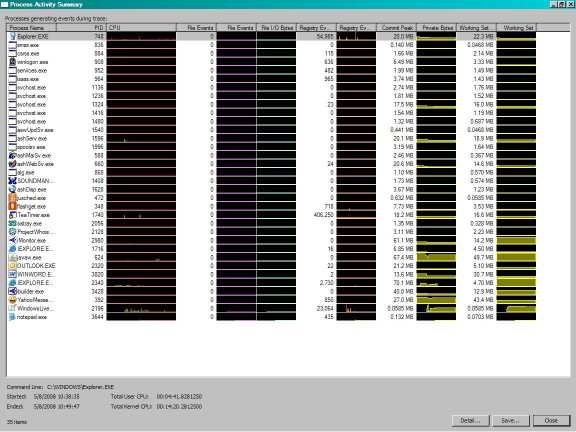 1) So you want to know what process is consuming resources on your PC / server, click tools >> process activity summary. 2) I just did a process count of my download software: flashget. p.s: don’t forget to read the help file.